Maintaining a healthy, beautiful lawn requires more than regular mowing and watering. Fortunately, lawn care services in Atlanta can help take care of the many aspects of lawn care that can keep your lawn in good shape. 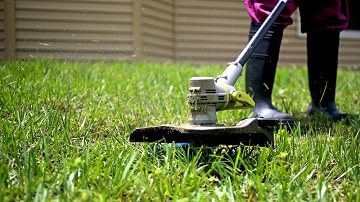 Whether you’re trying to bring your lawn back to good health or maintain its current condition, here are some ways a lawn care company in Atlanta can help no matter the size of your property. The first thing you should do in determining the treatment plan for your lawn is thoroughly assess and evaluate the condition of your lawn. This evaluation takes into account numerous factors like the lawn age, soil type, and health of the lawn. Many homeowners find it helpful to have a lawn care company do this evaluation so that the proper course of action is followed. Soil type and grass variety will help determine the optimal watering schedule. 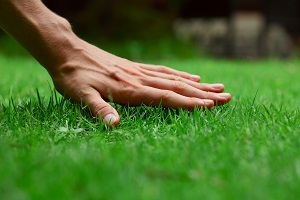 Determining the health of the lawn and presence of pests or disease will ensure those problems are addressed properly. Certain pests are more common during the late summer, so it’s important to get a handle on any pest problems that are detected. Common late summer pests are ants and other bugs that cause thin areas in the grass, brown spots, and chewed grass blades. Pest problems in the late summer can continue next season if they’re not taken care of properly. You may think that how you mow your lawn has no bearing on the health of your lawn. However, mowing your lawn with a dull blade on the mower or mowing it too short can affect its health. It’s important to be vigilant about keeping the mower’s blades sharp, or you can rely on a lawn care company that’s sure to keep their blades sharp. Improper mowing length can result in burned roots from the sun, so make sure your lawn is being mowed to the correct length. Fertilization is another important consideration. Your lawn should be fertilized at different points throughout the year; however, the type of fertilizer varies depending on the season. Make sure to fertilize your lawn in spring, summer, and fall. It’s a good idea to consult a professional to determine what type of fertilizer is appropriate for both the time of the year as well as to address any issues your lawn may be facing. Another factor that affects the health and appearance of your lawn is the thickness of the thatch. Dead grass can easily build up, which makes it difficult for sunlight to reach the roots and promote growth. Hiring someone to dethatch and aerate your lawn allows oxygen and sunlight to penetrate to the roots and keep your lawn healthy throughout the remainder or the summer and protect it throughout the winter.